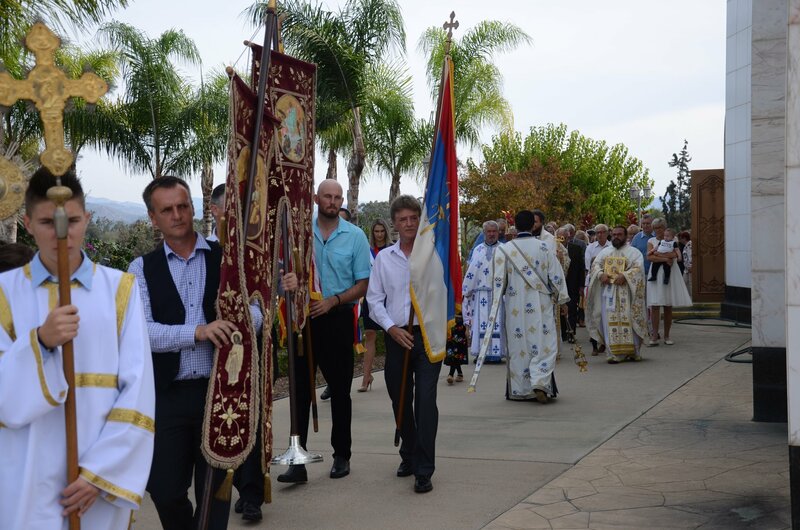 The honorable and Christ-loving Serbian Orthodox faithful of San Marcos, California gathered in festive numbers at their parish church on Sunday, October 28, 2018, to celebrate their altar feast, the Venerable Mother Paraskeva – St. Petka. 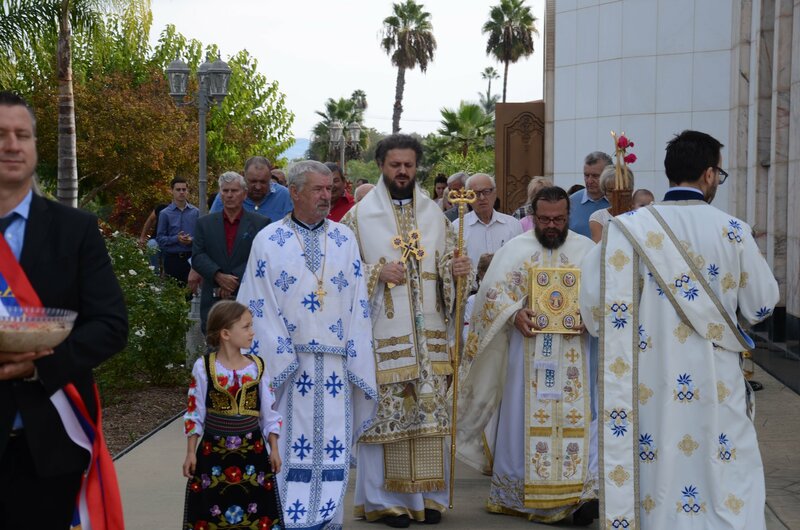 His Grace Bishop Maxim of Western of America arrived in the early morning hours, accompanied by the Episcopal deacon and secretary Deacon Vladan Radovanovic. 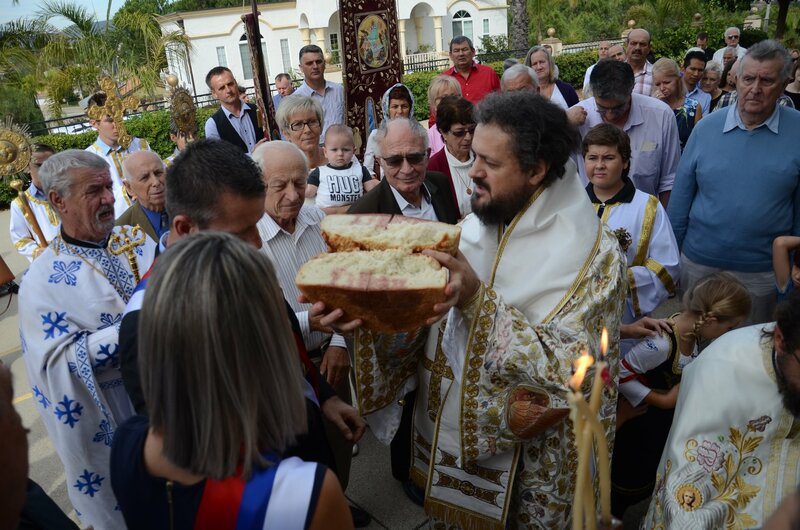 Upon their arrival the day's celebration began with Matins served by parish priest Protopresbyter Milovan Katanic. 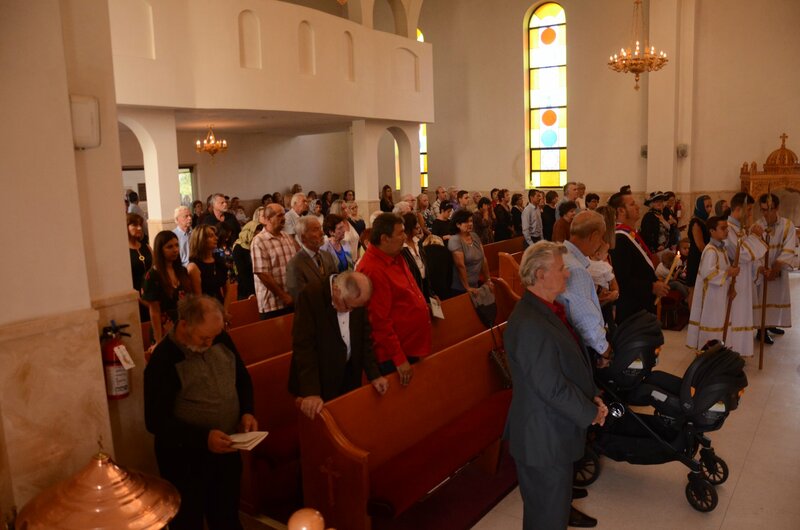 As Matins progressed the church slowly begin to fill as more and more faithful reverently entered the church, greeting the bishop and asking for his blessing. 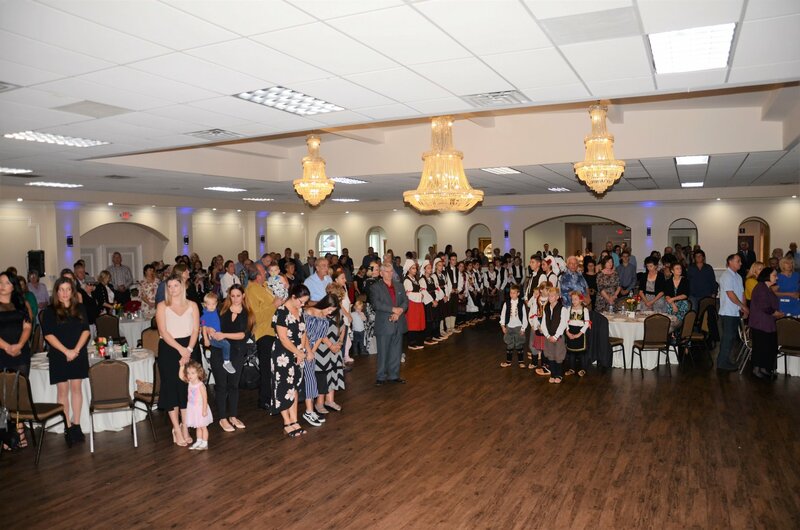 As the morning service drew to a close the bishop was vested and the Holy Hierarchical Divine Liturgy began, officiated by Bishop Maxim with the concelebration of the parish priest, retired priest Protopresbyter-Stavrophor Milan Vukovic and Deacon Vladan. In his homily following the Gospel reading of Lazarus and the Rich Man the bishop directed the attention of the faithful to the words from the gospel: “And besides all this, between us and you a great chasm has been set in place...“. 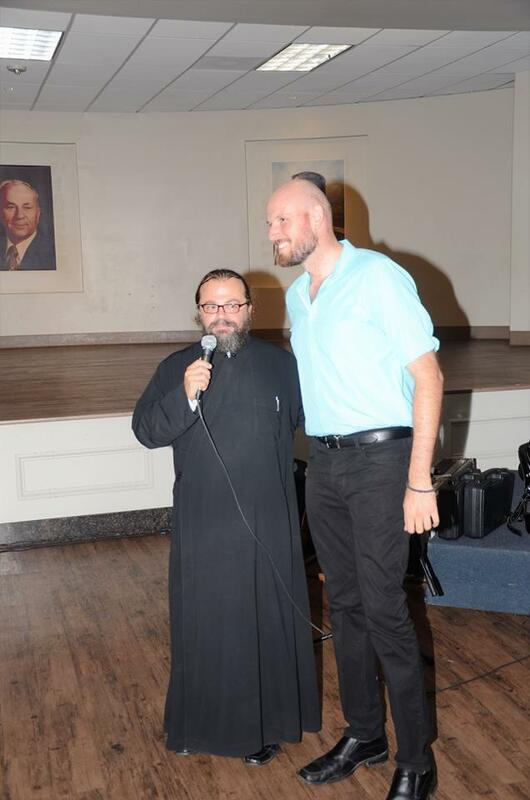 Our biggest problems today, he noted, are in the chasms and divisions we create between ourselves and our neighbors. God created man for him to be a bridge in this world between himself and the Lord, but instead man made a great divide - a chasm - between himself and God. Subsequently, this gospel parable speaks to us of the great need for us to make bridges with our neighbors, much like the rich man who, in refusing to show compassion towards Lazarus, created such a chasm that, in the end, it was impossible to overcome. 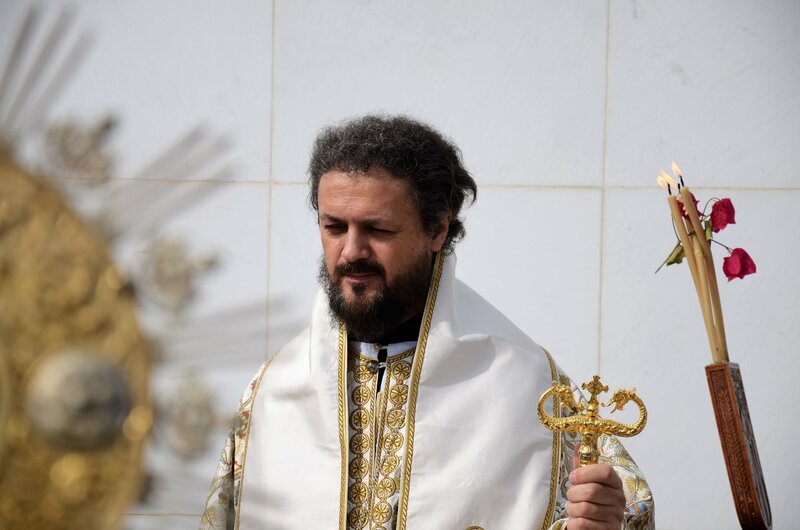 For this purpose the Lord gives us the Church and the Divine Liturgy as an image and icon of the future kingdom where nothing is to divide us but only bring us together. In the church we are called to attain love and compassion for one another; to bridge over those divisions which, unless we do it in this life, will not be achieved in the next life. 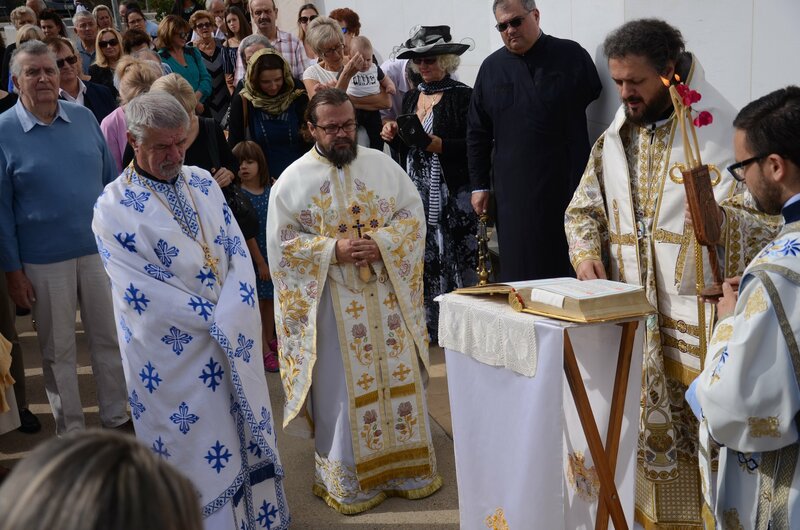 That's what this Divine Liturgy reminds us, the bishop concluded, that in communing at the end of this liturgy we become closer to God and one another. 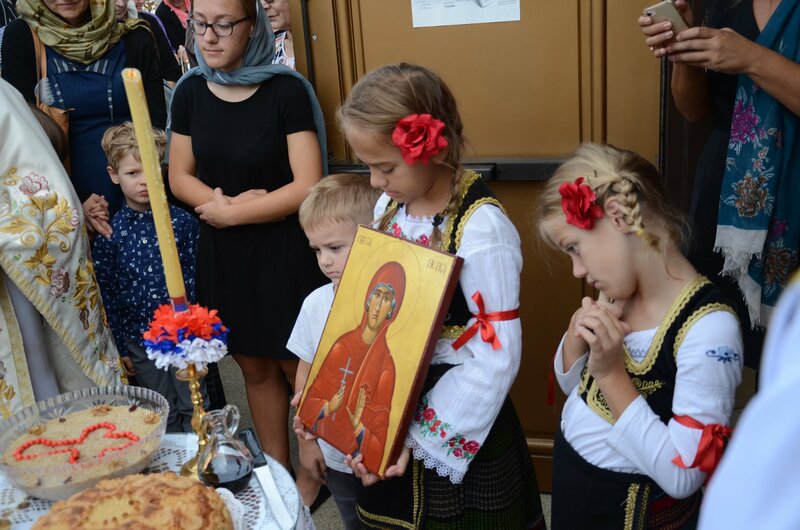 The ceremonious Slava Litija followed the Prayer before the Ambon as the Cross-bearers, banner-banners, the clergy, Slava kumovi and faithful processed in prayerful jubilation around the church. 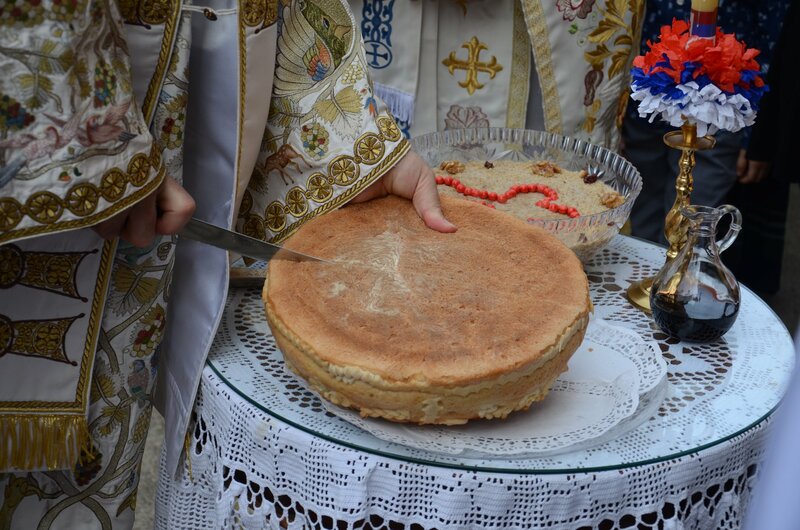 The litija concluded at the entrance of the church where the bishop blessed the Slava kolach and wheat offered by this year's kumovi Milan and Mirjana Djokic and their children Tea, Una and Vuk. 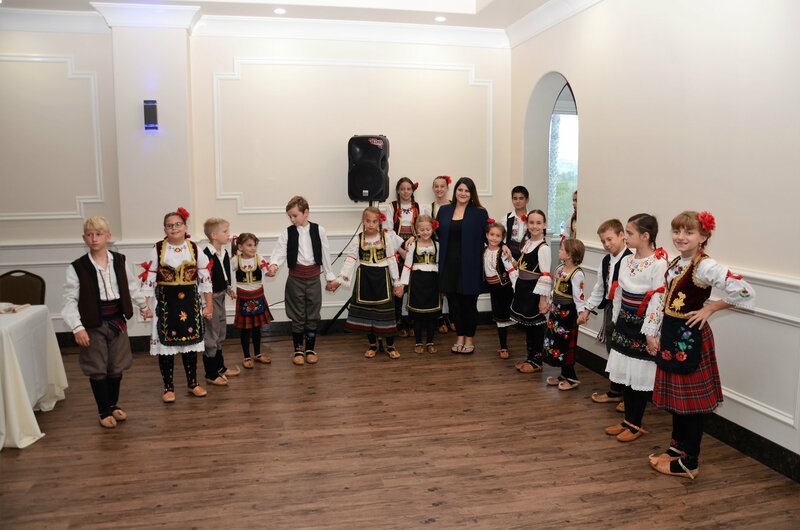 Following church services the day's celebration continued in the main church hall, beginning with a performance by the Avala Folklore Ensemble. A tasty and hearty luncheon was offered as ladies hurriedly served the many people who attended this year's celebration. 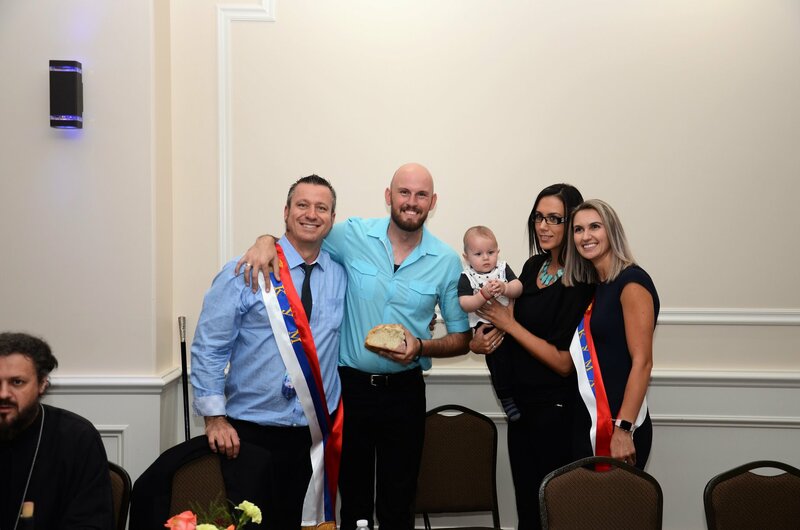 In keeping with tradition handed down to us, this year's kum Milan Djokic presented a third of the Slava Kolach to Djordje Jovanic who together with his family Gordana and Lazar accepted the role of Slava kumovi for next year. 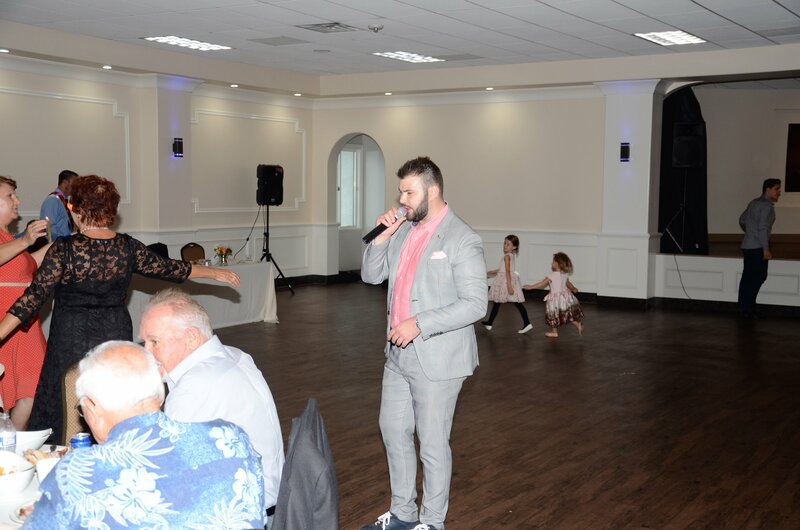 Musical entertainment for the Slava festivities was Marko Gacic of Zvezda Grande fame from Belgrade. 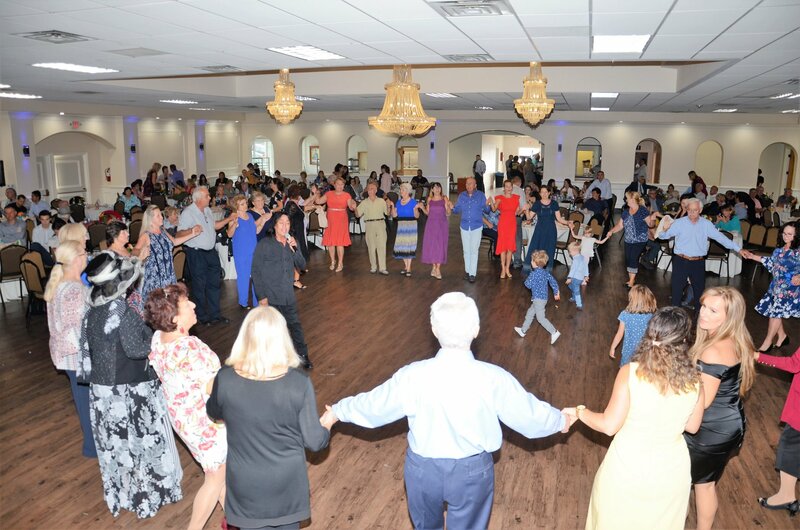 Music, dancing and fellowship continued well into the early evening hours.